Dice chicken into chunks about the size of your thumb. In a bowl mix the Soy Sauce, Sugar and Oyster Sauce. Mix and place to the side. In another bowl add the garlic, shallots, chillies and the salt. Roughly mix together. Heat the frypan/wok, when very hot add oil. Add the chicken and when almost cooked add the bowl of premixed sauce. While the other pan is cooking, poach or fry the eggs to your liking. 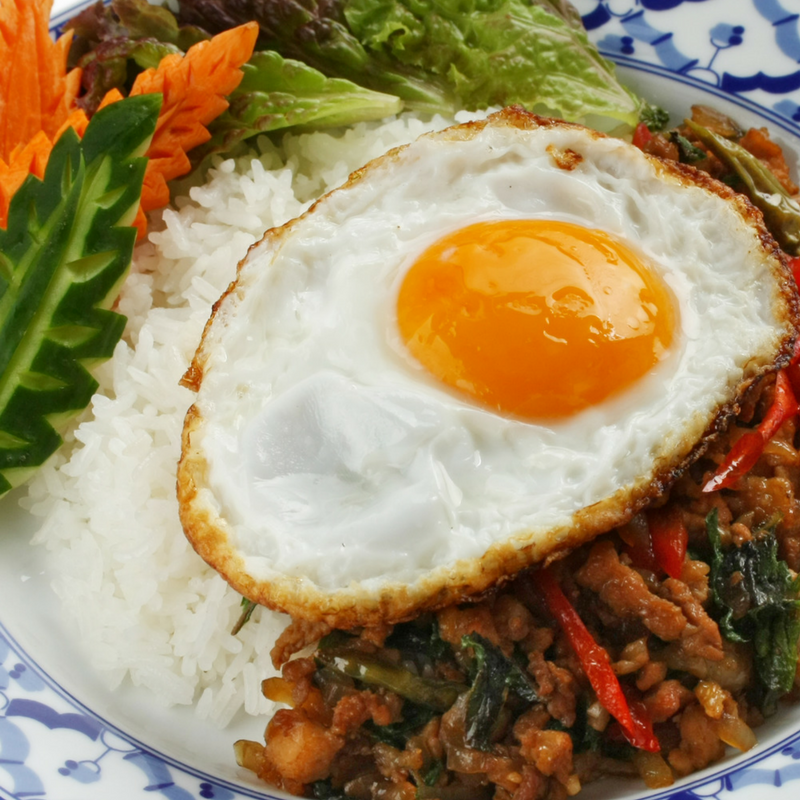 Serve with rice, top with an egg and the basil . Garnish with carrots, salad or anything available.